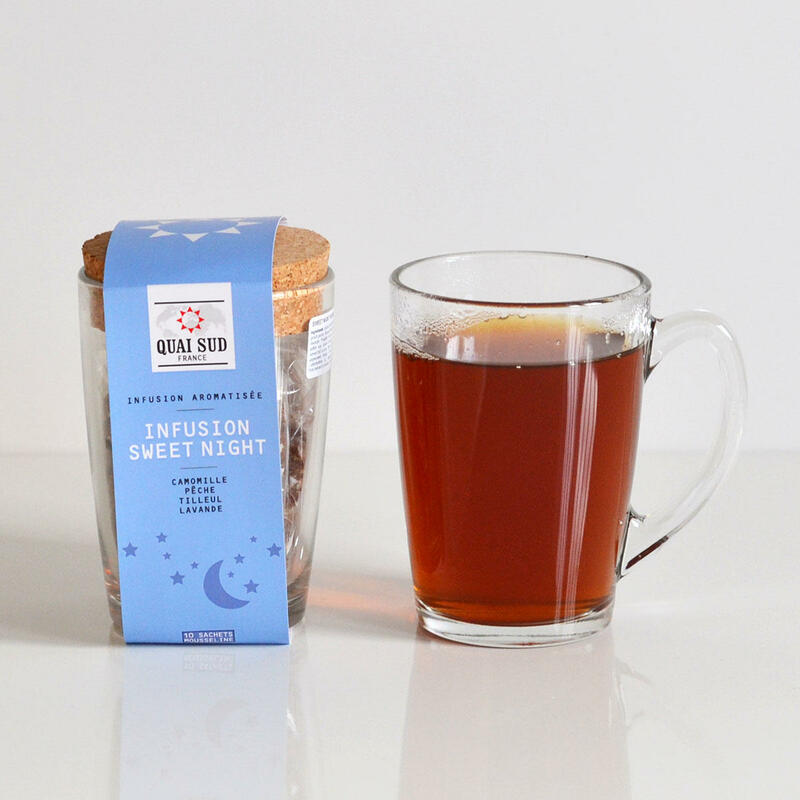 Sweet Night tea is a wonderful relaxing blend of rooibos, camomile, peach pieces and lavender . Just use one tea bag, add simmering water for 3-5 minutes, then add sugar to taste. 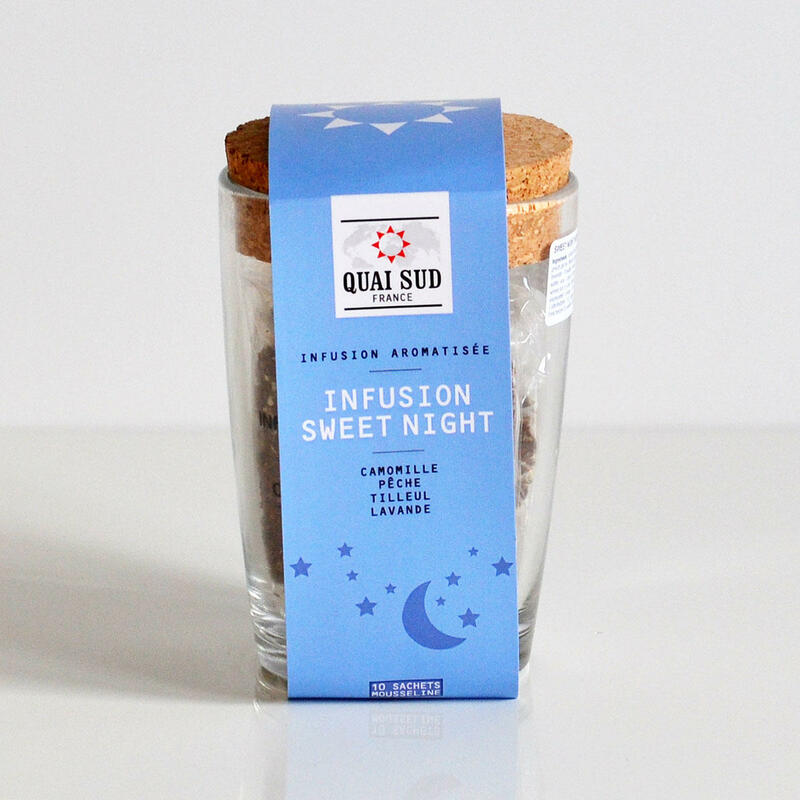 This blend should relax the mind and body for a peaceful sleep. Rooibos, camomile, peach pieces, flavour (vine peach), linden and verbena leaves, lavender. Possible traces of nuts, gluten, mustard, sesame, milk, eggs, sulphites, soy.